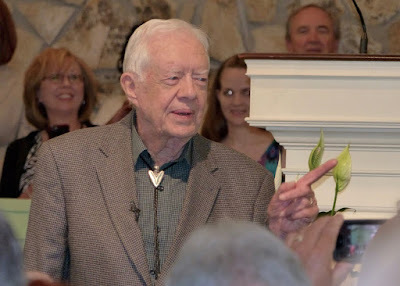 Red Truck Stonecatcher: Happy Birthday to President Carter, an Inspiring Stonecatcher! 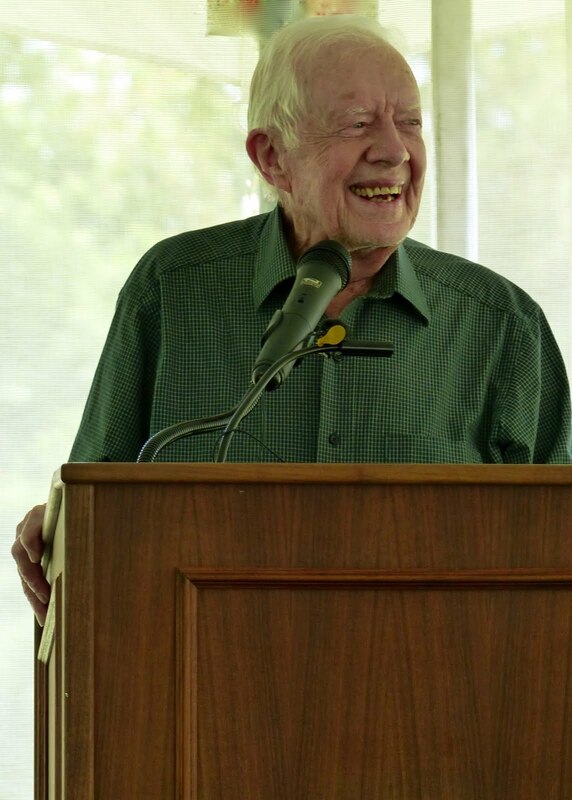 Happy Birthday to President Carter, an Inspiring Stonecatcher! In celebration of President Jimmy Carter's 92nd birthday on October 1, 2016, Peggy and I, and Tom and Dougie Trumble, share our heartfelt thoughts about the impact he and Rosalynn have made on our lives, and the lives of millions of people around the world. They are inspiring stonecatchers! 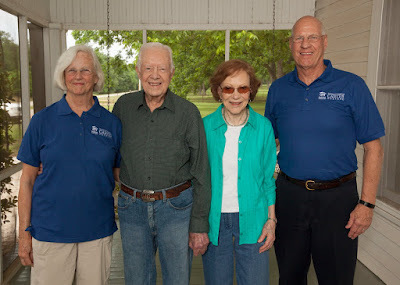 The following is an updated version of the August 26, 2015 letter (and Hartford Courant Op-Ed) my good friend Tom Trumble and I sent to President Carter while he was being treated for cancer. It says it all. “No photos! Keep working! We’ve got homes to build!” Your impassioned work site charge, as our benevolent taskmaster, always kept us focused on what was important – getting the job done. Constructing at least one hundred Habitat for Humanity homes in one week at your annual Jimmy and Rosalynn Carter Work Project is an incredible challenge. Shepherding three thousand volunteers from around the world, from different cultures and ethnicities with diverse languages, you and Rosalynn have shown us it can be done anywhere in the world through hard work and unwavering resolve. Building one hundred simple, affordable homes, working side by side with new homeowners to be, is a miracle of deep faith, selfless teamwork, long sweaty hours, and untiring commitment to Habitat’s mission. Thank you for leading by example – hammering and sawing as vigorously as anyone. South Africa was our first Carter Work Project, a project centered on reconciliation from years of apartheid. The initial one hundred homes we built in 2002 outside of Durban, in a community aptly renamed “Ethembeni” (a place of hope), is now a thriving village of many more homes and local services. After witnessing the tremendous power of international collaboration to help families build new safe and healthy homes, we unhesitatingly volunteered for your projects in Mexico, India, Thailand, and twice in Haiti after its devastating earthquake. Openly engaging us through your daily briefings and lessons, especially your amazing Sunday school lesson in Haiti, made us feel part of your inner circle. It’s a mighty big circle, indeed! Your after-hours discussions on world events, and the Carter Center’s tireless work, ranging from the soon to be complete eradication of Guinea worm disease to monitoring elections to brokering peace relations around the world, made us realize our Habitat work is diplomacy at its best – moving from advocacy to action to achievement. With each project we returned to our home affiliate, Hartford Area Habitat for Humanity, with new experiences to share about Habitat’s great work and impact in eliminating poverty housing in other countries. It reinforced the importance to Hartford Habitat donors to share our abundance by faithfully continuing to tithe 10% of our unrestricted funds to Habitat affiliates outside the United States. It is critical to sustaining Habitat‘s worldwide mission. As you have taught us so well, adequate shelter should be a basic human right throughout the world. The following photos were taken on the back porch of President Carter's boyhood farmhouse on May 21, 2016, in Plains, GA, during Habitat for Humanity International's Carter Weekend. 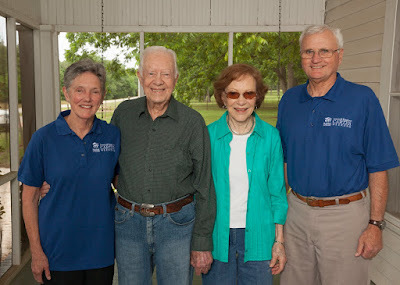 Photos of President Carter at Marantha Baptist Church and Carter Weekend luncheon by Don Shaw, Jr. Photos of the Shaws and Trumbles courtesy of Habitat for Humanity International. I have always loved the "no photos, keep working" from your original letter. Great post and update!